THIS CAPACITY GUIDE INTENDED TO PROVIDE AVERAGE MAXIMUM CAPACITIES FOR QUICK APROXIMATION. PROVISION SHOULD BE MADE FOR FOOD SERVING,BARS,STAGES,DISPLAY AREAS AND ANY OTHER SPECIALLY DESIGNATED SPACE. 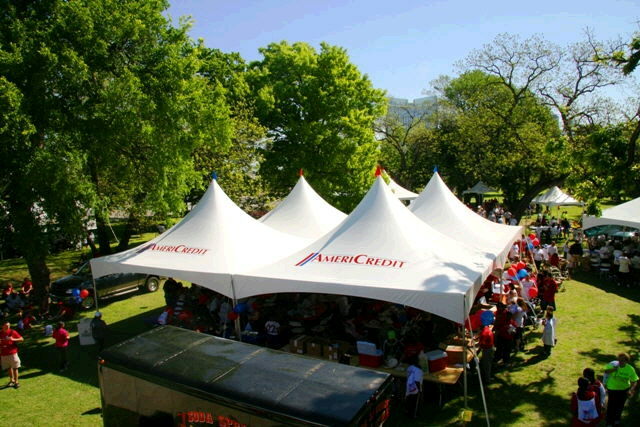 ALL MARQUEE TENTS ARE MODULAR AND CAN BE JOINED TOGETHER IN A VARIETY OF CONFIGURATIONS TO CREATE LARGER COVERAGE AREAS. FIRE PERMIT NEEDED FOR THIS TENT. * Please call us for any questions on our tent 40 foot x40 foot marquee white in Concord CA and Pittsburg CA, serving the greater Contra Costa area.